The GT6 is a 6-cylinder sports coupé which was built by Standard-Triumph and based on their popular Triumph Spitfire convertible. Production ran from 1966 to 1973. 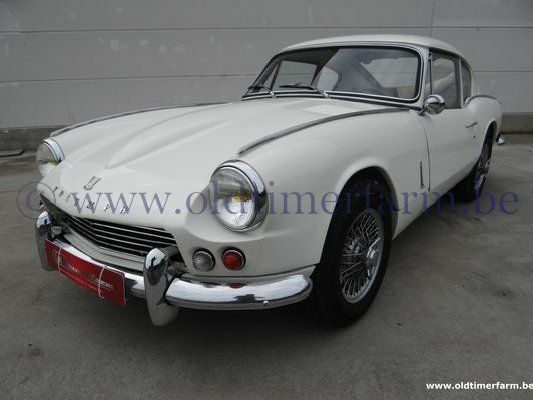 In early 1963 Giovanni Michelotti was commissioned by Standard-Triumph to design a GT version of their recently introduced Spitfire 4 (also designed by Michelotti). An unmodified Spitfire 4 was transported to Michelotti's design studios in Italy and late in 1963 the prototype Spitfire GT4 was returned to England for evaluation. The styling of the vehicle was a success but unfortunately the extra weight of the GT bodyshell resulted in extremely poor performance, with the 1,147 cc (70 cu in) Spitfire power unit, and plans for producing the Spitfire GT4 were shelved. However, Michelotti's fastback design for the Spitfire GT4 prototype was (for the 1964 season) adopted by the Triumph racing-programme as it was deemed to provide an aerodynamic benefit over the standard Spitfire body-shape. Fibreglass copies of the Spitfire GT4's fastback were grafted on to the race-modified Spitfires destined for competition. The Spitfire racing programme was successful and, in 1965, resulted in 13th overall and a 1st in class at the prestigious 24 Hours of Le Mans (beating their main rivals, the MG Midgets). The Spitfire's competitive success and the continuing commercial success of the production vehicle led Triumph to re-evaluate its shelved plans for a GT version of the Spitfire. To overcome the lack of performance inherent in the heavier body-style the Spitfire's 4-cylinder engine was replaced with the more powerful 2-litre (1,998 cc) 6-cylinder engine from the Triumph Vitesse (which shared a similar chassis with the Spitfire and Triumph Herald). 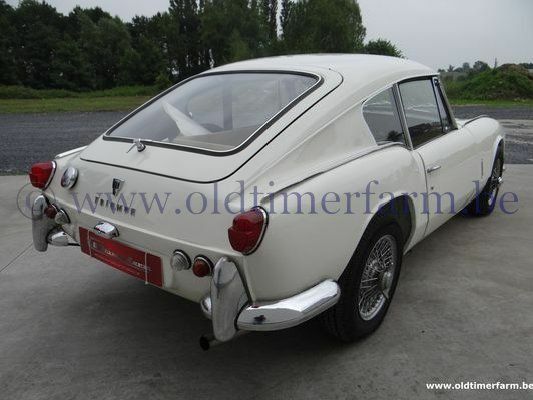 The car was further developed and refined and eventually launched as the Triumph GT6 (dropping the "Spitfire" prefix) to identify its GT styling and its 6-cylinder engine. Contemporary Triumph marketing advertised the GT6 as being developed from the "race winning Le Mans Spitfires" to capitalize on their aesthetic similarities, whereas the Le Mans Spitfires and the GT6 were actually two entirely separate development programmes (the GT programme pre-dating the racing programme). However, the marketing spin was so successful that many people erroneously believed the Le Mans Spitfires to actually be GT6s. The new car was introduced in 1966 and called the Triumph GT6. The new body was a sleek fastback design with an opening rear hatch (This gave the GT6 the nickname "Poor man's E-Type".) It was really a 2-seater, but a small extra rear seat could be ordered if required and was large enough for small children. The family resemblance to the Spitfire Mk II was strong, the longer 6-cylinder engine necessitated a new bonnet top with a power bulge and the doors were provided with opening quarter light windows and squared-off glass in the top rear corner. The 6-cylinder engine was tuned to develop 95 bhp (71 kW) at 5000 rpm, and produced 117 lb·ft (159 N·m) of torque at 3000 rpm. The increased power necessitated certain changes to the Spitfire mechanics; the radiator was new and mounted further forward in the car and the gearbox was the stronger unit from the Vitesse, with optional overdrive. Front springs were uprated to cope with the extra weight from the new engine. The overall vehicle weight unladed was 1,904 lb (864 kg). The interior of the GT6 was well equipped; a wooden dashboard housed a full complement of instruments, with carpets and heater included as standard. The new car had some very strong selling points. The new engine provided a 106 mph (171 km/h) top speed and 0–60 mph in 12 seconds, a little better than the MGB GT. Moreover, the unit was comparatively smooth and tractable, in marked contrast to the MG's rather harsh 4-cylinder motor. Fuel economy was very reasonable for the period at 20mpg, and the interior well up to the competition. The only major criticism was of its rear suspension; the GT6 inherited the swing-axle system from the Spitfire, which in turn was copied from the Herald small saloon. In the saloon it was tolerated, in the little Spitfire it was not liked and in the powerful GT6 it was heavily criticised. Triumph had done nothing to improve the system for the GT6 and the tendency to break away if the driver lifted off the power mid-corner was not helped at all by the increased weight at the front of the car. The handling was most bitterly criticised in the USA, an important export market for Triumph, where they were traditionally very strong. Similar criticism was being levelled at the Vitesse saloon, which shared the GT6's engine and its handling problems.